All our staff are happy for you to ask any questions. 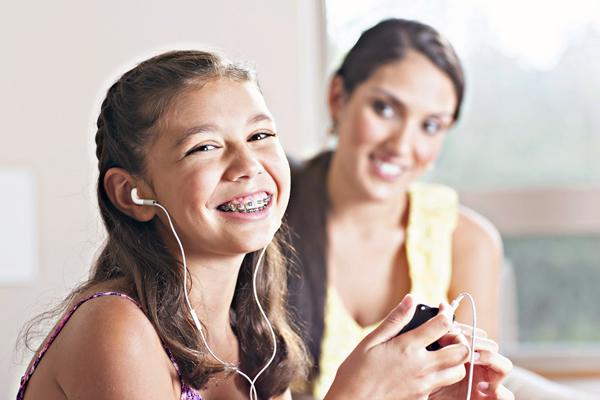 When should my child first visit an orthodontist? Are you concerned about the growth or straightness of your childs teeth? The Australian Society of Orthodontists and recommend each child have an assessment with a registered specialist orthodontist between the ages of 8-10 years. We want to help you gain the best for your child and its a great idea to simply come in and see us so we can comprehensively check out We will provide your child’s orthodontic needs. When certain orthodontic issues are identified early, we may recommend initial actions to guide the incoming adult teeth and jaw growth in a favourable direction. Early treatment may also make the next step of braces easier and less complicated. Our aim is to help your child be confidence during their school years. A registered specialist orthodontist has the expertise to know the right treatment options at the right time for your child. Orthodontists are dental specialists who are University trained in the prevention, diagnosis and treatment of dental and facial irregularities. They provide a wide range of treatment options to straighten crooked teeth, fix bad bites and align the jaws correctly. While orthodontists are primarily known for straightening teeth, they can also assist with painful and misaligned bites, tooth movement caused by bad habits such as thumb sucking, and even some forms of sleep apnoea. If you’re wondering what an orthodontist can do for your smile, you should make an appointment to have an assessment, no referral is necessary. We understand that keeping your retainer clean is really important but another task on your list! As most removable retainers are made from porous materials they can easily be inhabited by smelly bacteria. Don’t let your retainer dry out. Keep your retainer in your mouth, or soaking in a clean water. Brush your retainer thoroughly after each meal and everytime you brush your teeth. Soaking is not a replacement for brushing, so after soaking be sure to brush your retainer with toothpaste. Beware of hot or warm water. This will distort and ruin your retainer. Don’t let the dog see your retainer – they just love chewing on them! !